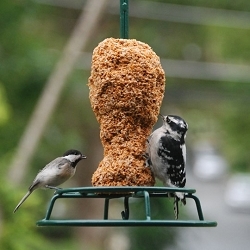 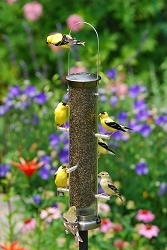 Attract a suet loving songbirds to your yard! 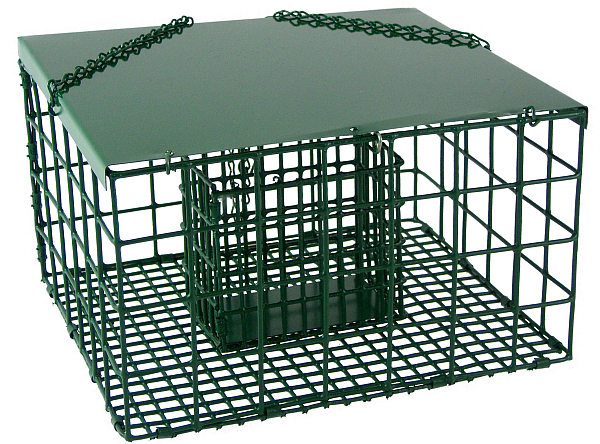 Durable metal cage discourages squirrels and large birds! 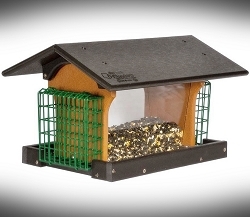 Unlike most other suet feeders, when the suet compartment metal plate is in place, the Suet Palace keeps squirrels, pesky Starlings and Grackles from eating the suet. 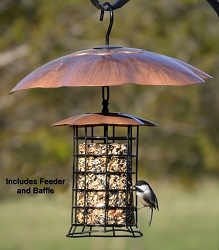 When this feeder is hung high from the ground, Grackles and Starlings don't often feed at this style of feeder so you can take the plate out. 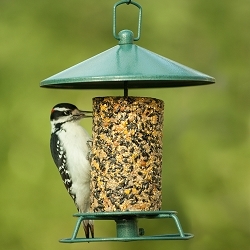 Now, large Woodpeckers like Flickers, Sapsuckers, Red Headed, Red Bellied, and even Pileated Woodpeckers can hang from the bottom and feed. 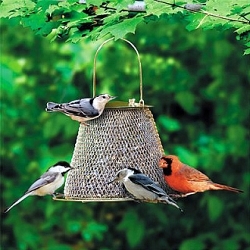 Also attracts small clinging songbirds such as Nuthatches, Chickadees and Titmice. 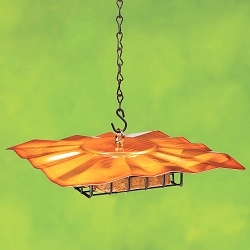 Holes on the sides are 1.5 inches X 1.5 inches and the bottom is .5 inches X .5 inches. 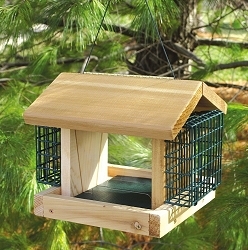 Suet cake size is 4.5 x 3 x 4. 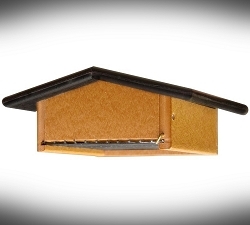 Durable weather resistant metal construction. 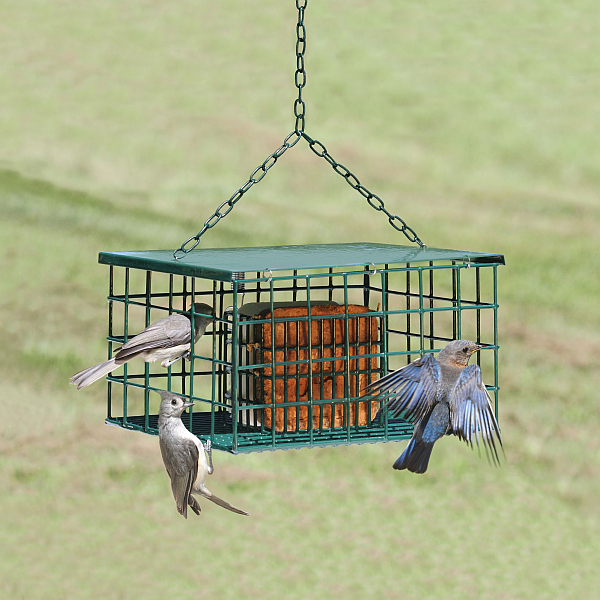 Hang from hook or bracket. 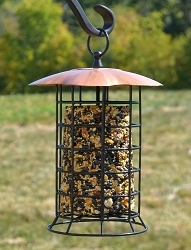 Holds two standard suet or seed cakes.